OPEN TO ALL!! PASS THE WORD!! COPY BADGE AND LINK TO RFW!! 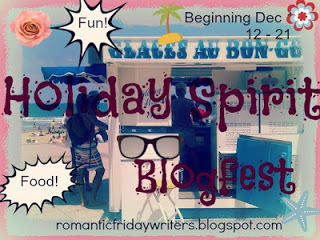 This is a holiday blogfest with a difference! Please join in the fun! For this Holiday Spirit blogfest, we are looking for excerpts involving fiction or non-fiction stories of family tradition, favorite/unique recipes, inspirational articles, etc. ; that represent the essence of the holiday spirit. RFW, and the blogsphere itself, include a multitude of countries, cultures, and citizenry of the world. Not every culture celebrates Thanksgiving, Christmas, Yom Kipper, or any variety of holidays of the “giving spirit” during the same season. Because the RFW hosts are a part of western civilization, we choose the Christmas month (December) to celebrate the giving spirit, and would like you to post whatever passes for the Holiday Spirit in your neck ‘a the world. For this challenge, your submission does not need to include an element of romance; however, we at RFW acknowledge that ANY writing involving family (their values, traditions, and conflicts) is a Romantic writing. What is more romantic than Family? Because of the special nature of this Holiday Spirit blogfest, we are allowing up to two submissions; however, they must be in two separate categories. Meaning, you could post your favorite recipe AND a fictio/non-fiction family tradition; or a link to an inspirational news/magazine article AND a recipe; but not two of each category (two recipes, two memoir posts, two articles). If you are posting two separate submissions, please add your blog link twice and add the category to your name/link - eg; Donna Hole, Recipe - so participants know to look for two separate posts. The linky will open on December 12 and remain open thru December 31 to encourage linking to the direct post. However, if you decide to link then schedule a post (or two) later, just leave a comment to let everyone know when your excerpt will be available. The RFW hosts will be checking the comments and links, and if a direct link is available, we will edit your link(s) if you haven't done so. Please join us in celebrating life, love, presents, good food, and of course Family Traditions of all types of all cultures. This is not a competition - it is a sharing. We hope we'll all get to know each other better! My father was a serving officer in the Royal Navy and sometimes he was absent for Christmas but we didn't miss him. I know that sounds strange and perhaps rather harsh but the reason his absence didn’t spoil the Christmas spirit was because my mother and my grandparents always made sure that myself and my brother had such a wonderful time. Preparations for Christmas started a few weeks before the actual big day with the Christmas cake and Christmas pudding being made at the end of October / beginning of November. 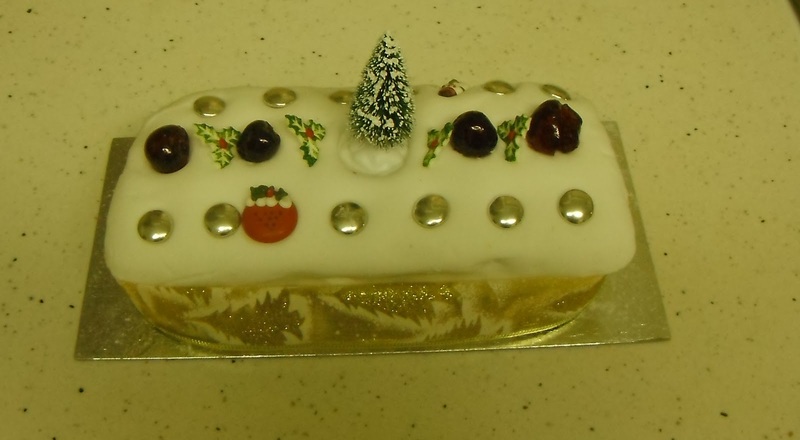 The cake was ‘fed’ with a capful of alcohol each week until a week before Christmas. The marzipan would be made and placed on the cake and left to dry out for a few days otherwise it would bleed through and discolour the icing. Then the Royal Icing was made and the cake iced and decorated ready to be displayed on the Christmas table at teatime. A fresh turkey was usually purchased a few days before Christmas from the market in the nearest town. My grandmother would travel the three miles on the bus and return carrying a turkey weighing around about 23 lb – 24 lb to feed somewhere between 10 – 14 people on Christmas Day. My grandfather (Fred) had the job of plucking the feathers and preparing the bird ready for cooking. I remember sitting in granddad’s shed, wrapped up warmly, watching him cleverly prepare the bird. These days it is all prepared for us by the butcher or the supermarkets. The women in my family are always very busy on Christmas Eve cooking mince pies, sausage rolls and preparing all the food for the meal the next day. All the family would come to my grandparents’ house for Christmas Day, as we sat at the laden table we would pull the Christmas crackers and share the jokes inside, little trinkets and wear the Christmas paper hats and enjoy our turkey and all the trimmings. 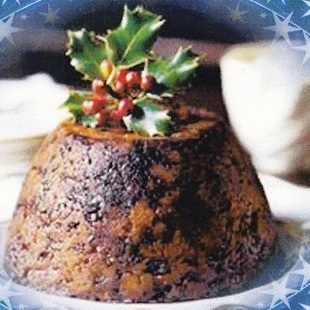 The Christmas pudding would then be brought in, doused with a tablespoon of brandy and set alight. It was a great sight this flaming pudding with a sprig of holly decorating the top that we would then eat. Inserted inside the Christmas pudding, wrapped in greaseproof paper, would be a silver sixpenny piece and there would be a coin for each child present. A rich Christmas pudding was not always to a child’s young palate but we always ate it so that we could keep the coin. Once the washing up was done by many willing hands, we would then gather in the ‘best room’ where the Christmas tree was with all the presents piled around it. One person was nominated to give out the presents reading out the labels on the gift. This could take two to three hours depending on how many guests were staying for Christmas. 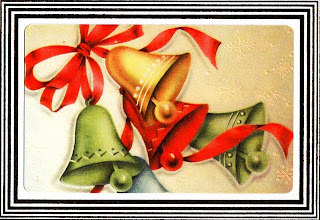 Christmas tea would be about six o’clock in the evening when the table was set again, groaning with all sorts of goodies, a baked ham, sausage rolls, mince pies, a cheese board and crackers, a home-made sherry trifle, a chocolate blancmange rabbit and various other nibbles and chocolates. There would be alcohol served if wanted or tea and we would go to bed stuffed to the gills with rich food. If anybody had any energy left then a game of Charades always ended up in hilarity or maybe the grown-ups would play card games. Our family tradition started at least three generations ago (1930’s) when family Christmases were hosted by Great Aunt Mill (my grandmother’s elder sister) and her husband Great Uncle Fred Stevens. Aunt Mill and Uncle Fred owned a newsagents/tobacconist shop that also sold toys, ice-creams, cakes and had a few tables set out where they would serve home-made ice-cream, milk shakes and baked beans on toast, sardines on toast and cream sodas. They worked very hard, opening their shop at 6.00 a.m. for delivery of the morning newspapers and not shutting up the shop until 10.00 p.m. at night. 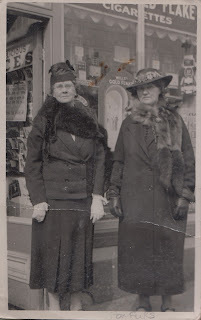 Great Aunt Mill Stevens and Great Aunt Flo Goodson outside Aunt Mill’s shop circa 1920 – 1930, well dressed ladies, note the fashion of the time with the fox furs around their necks (unacceptable these days but perfectly acceptable then). On Christmas Day they would stay open until about 2.00p.m to cater for the young children who had been given sixpence or a shilling for Christmas to spend and also to catch the trade from people visiting family who wanted a last minute present to take with them. They would then close the shop and have their turkey dinner and the presents from around the tree. My granddad, Fred, was always a little bit excited about Christmas and he would always have a sneaky look and a sneaky feel of all the presents around the tree before Christmas afternoon. One year he became a bit grumpy and when Hetty challenged his mood he admitted that he couldn’t find a present from his daughter, June, my mother, around the tree. That year after all the presents had been distributed Fred still hadn’t received a gift from my mother. All those sitting on the sofa were asked to get up and stand away while the sofa was moved out into the room. Hidden behind the sofa, wrapped in Christmas paper, was his present from his daughter, a brand new spade for his garden. The whole family had kept the secret and obviously this was a present that couldn’t be wrapped without giving away what it was, amid lots of laughter Fred was really pleased with his gift. One year Granddad had his own surprise. He had bought my grandmother an eternity ring and came over to our house where, with my mother’s help, wrapped this small box up and then put it inside a slightly larger box and a slightly larger box and so on and so on until a very large box was wrapped. It took my Grandmother ages to undo all the boxes. That was a good laugh as well. One year my first husband asked me what I would like for Christmas and as money was tight in those early days of marriage and young children I had asked for something ‘pretty and practical.’ I opened my present from him to reveal a linen peg bag. I must admit to feeling slightly let down until I felt another bulge inside the peg bag. I retrieved the object and found a beautiful wristwatch inside. That was a lovely surprise. We’ve also had our disasters with presents besides the usual items of clothing that didn't fit. My father gave my mother a boxed bottle of expensive perfume. As she opened the box and took out the bottle it was empty of any perfume. The cap was still sealed and no leakage had occurred so our theory was that he had been sold the dummy bottle that had previously been on display. As an engaged couple my fiancée was invited to spend Christmas with my family and his mother was invited as well. She refused to come as she wanted her son to spend the day with her. We took her present round to her and she literally threw it back in our faces. One year my aunt hosted Christmas. She put the remains of the carved turkey back in the oven to save space until she was ready to wrap it and place it in the fridge. Unfortunately, the turkey was forgotten about until an awful smell coming from the kitchen reminded her of the turkey sitting inside the oven. A couple of years ago my mother was defrosting a frozen turkey in the fridge when unknown to her the fridge had broken down and stopped working; again the smell was the giveaway that all was not right. My husband decanted the gravy from the saucepan into a gravy boat and spilt it all over his hand and burnt it badly and sat at the Christmas table with one had wrapped in a tea towel encased with a packet of frozen peas. As the time has gone on it is now my turn to host Christmas Day and that seems to happen every year. I am still lucky enough to have both my parents and this year there will be ten of us on Christmas Day ranging in age from just under two years old to just over 82 years old. We still stick to our family tradition of catering our main meal for 1.00 p.m. – 2.00 p.m. and then clearing up the dishes and then sitting down around the tree for the ‘passing out of the presents’. 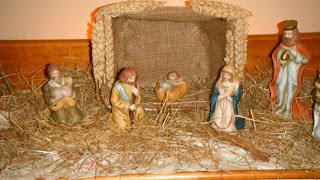 As each child grows up and learns how to read they take a turn or share this part of Christmas. 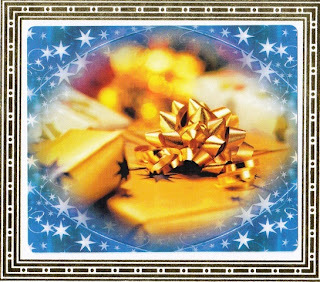 It teaches the young ones how to give gifts and wait until that present is opened and thanked for rather than diving in and opening a mass of presents all at once. Colds and coughs and flu also abound around Christmas time but we all valiantly carry on and have a wonderful day, everyone is forgiven for slights and arguments throughout the year. When everybody has left or retired to bed I breathe a huge sigh of relief that Christmas is over for another year. What a lovely post! Very touching. I want to know more about that Christmas pudding. Hello Sally! 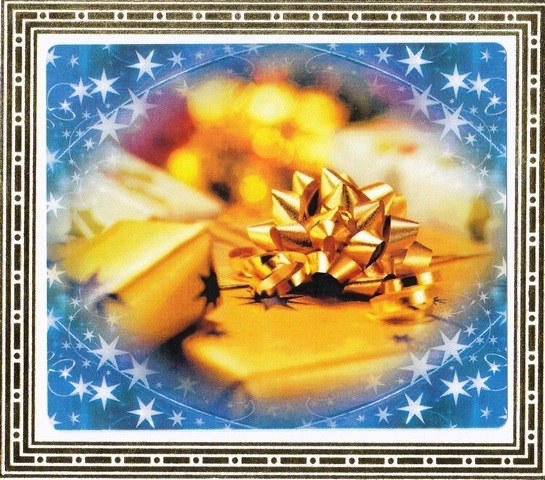 Thanks so much for posting this well-thought-out story of Christmases past and present. I loved it! You have a real talent for nostalgia! Anyway, your Christmas sounds lovely! Enjoy it with your family. We are actually having our main Christmas celebrations on Christmas Eve this year as a daughter is travelling on Christmas Day. What it means is 2 days of Christmas instead of one! Save me! Thank you for sharing this delightful tradition. My heart is lighter for the reading. I absolutely loved reading about your Christmas traditions. They're heartwarming, truly what the season is all about. have a wonderful Christmas Sally! I loved your mom's spade present. Really cute. It's wonderful to hear how each family celebrates. Passing out one gift at a time is such a great way to do it. I've seen families open everything at once in mass chaos, and there's hardly time to figure out who gave what to whom. Hearing the stories behind gifts is so much more interesting. I've always wanted to try making a Christmas pudding months in advance! What a wonderful "Christmas through the ages" post this is. Family and traditions. A true part of our Christmas heritage. Love ... the love and caring to keep the traditions fresh through each new generation. How lucky for you to still have your parents and the heartwarming gathering around the tree. Enjoy it while you can. Sadly, it changes when your parents move on. But you have other generations to continue on. How fantastic. 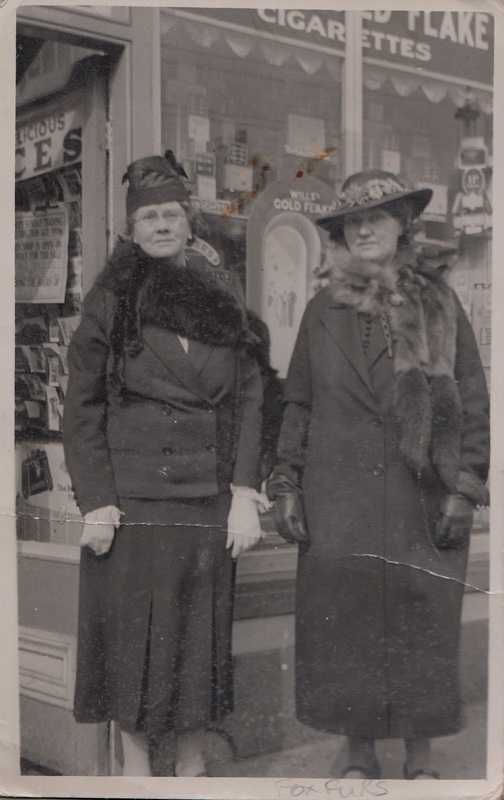 I had to smile with the pic of your great aunt and her sister. Reminds me of my grandmother and hers. A nice memory for me. All the best for the new year and more wonderful RFW posts!